The weather here is supposed to be really nice this week, I am looking forward to it! We have had such a cool summer so far, and my sisters tomato plants could really use some heat to grow! So, not a very eventful week when it comes to meal planning. . . We received funding approval on a big project that I have been working on, so I am going to be doing some travel now, which is kind of a bummer, especially during the summer, but I just need to make the most of it. We had a really nice weekend. Friday our couples dinner was fabulous. Really good food, wine and company. Saturday I had to do Summit duties, I had switched with someone else, but it was VERY hard to get up Saturday morning. After, we ran some errands, had lunch, and then the boy took care of the lawn at his house and after we made a stop up at my sisters to see all of them. Dinner Saturday night was Smashburger which is a relatively new chain to Minnie but it was already voted one of the best burgers in the Twin Cities. 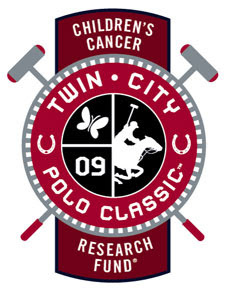 Sunday we were off to see the ponies at the Twin Cities Polo Classic for Children's Cancer Research Fund. It turned out to be a beautiful day and we brought a great picnic and just really enjoyed all of the festivities. T and Sister J joined us as well. The "friend" that I had mentioned last week, she and her husband did not show up. Nor did they let me know that in advance, which I think is just plain rude, especially when I went off of the evite website, and planned a picnic for 8 based on the RSVP's. I did not plan the picnic until Saturday. One friend called me and dropped out Sunday morning, not nice, but oh well. The other three, nothing. One of the girls had told T and she let me know when she got there, but that still does not change the fact that I went out and planned a picnic for 8. After we got home Sunday, I sent off an email to this "friend" letting her know that I did not think it was very nice or courteous of her not to update her RSVP accordingly, she responded back with a nasty "I don't think we should communicate further" dropped and blocked me from Facebook and that was that. Needless to say I was shocked, hurt and deeply offended, but I do believe that for this person that was the easier choice rather than admitting that she might be wrong, addressing my feelings and then having to apologize. The hardest part is all of our mutual friends. I am actually so glad that I am getting away for a little while and not having to deal with all of this. We did have fun at the polo though and it was a beautiful day, so I am glad that we went and enjoyed ourselves. Kicking back with Max, sister J's pup, it was hot, but I think that he enjoyed himself. I loved all of the ladies dresses and wonderful hats, it really was a super fun day!